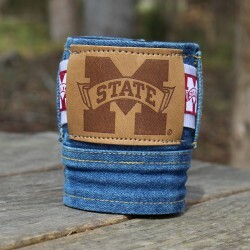 Keep your favorite beverage cold with this camouflage denim camo Koozie with the traditional Brewjeans logo tag. 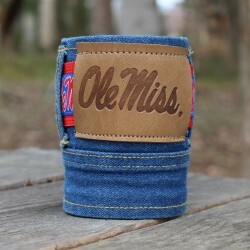 We offer many different finishes for the denim camo Koozie. Camouflage There are 9 products. 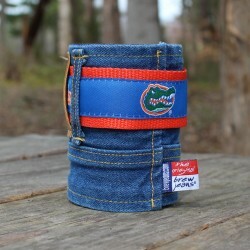 Keep your favorite beverage cold with this camouflage denim ACU Tactical Koozie. Here's the #1 reason to purchase this: 20% of the retail sale goes to a Non-Profit Veterans' Association (To be determined). Let's give something back to those who have sacrificed the most! Has anyone seen my drink? It's got the American Flag on it! Oh, here it is! It blended right into its surroundings! 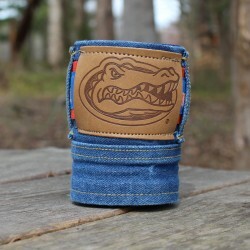 CURRENTLY OUT OF STOCK The Original Brew Jeans as a hunter camo blank koozie. With this hunter camo koozie you can express youself with a black marker on the blank patch. You can write your name or personal slogan on the hunter camo koozie patch. The Original Brew Jeans as a pink camo blank koozie. With this pink hunter camo koozie you can express youself with a black marker on the blank patch. You can write your name or personal slogan on the pink hunter camo koozie patch. 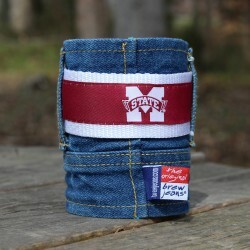 The Original Brew Jeans as a ACU camo blank koozie. Genuine ACU ripstop camo based on our original. 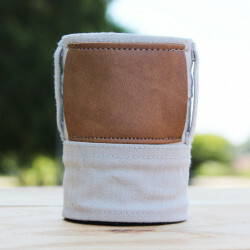 This ACU Camo Koozie Features a blank patch. ACU Camo American Flag and Original Denim with American Flag Combo Original blue denim with embroidered red, white and blue American Flag and genuine ACU ripstop camo based on our original. This ACU Camo Koozie Features and embroidered American flag patch in subdued black and gray. ACU Camo American Flag and and ACU Camo with Infidel Logo Genuine ACU ripstop camo based on our original. The flag is embroidered in subdued black and gray. The Infidel logo is debossed in black into the leather patch. Beer? I don't see any beer. What are you talking about?